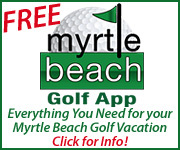 Phil Ritson and Mel Sole have been doing their part to grow the game of golf, and are now offering free one, two, and three-day teaching programs to youth (age 16 and younger) at their award-winning school at Pawleys Plantation, 30 minutes south of Myrtle Beach. The teaching academy offers a variety of programs to accommodate all skill levels and keeps its class size small to insure personal attention. The teaching sessions include on-course play in the afternoons for juniors who are accompanied by a paying adult. And if more than one child is enrolling, instruction is just half price for the second child and regular green fees are charged for on-course play. Instruction is available as part of the vacation package when a family stays at the fully-equipped villas on site at Pawleys Plantation or the nearby oceanfront resort of Litchfield Beach and Golf Resort. Adults pay between $495 and $595 for a three-day instruction school, depending on the time of year. “We feel that we need to help grow the game and that people should expect first-class instruction at a price they can afford,” said Sole, a former South African PGA Tour player with more than 40 years of teaching experience. Sole is also a published author on the subject, and his latest book, “Golf Step by Step,” was published in 2003. The Ritson-Sole Golf School was opened at Pawleys Plantation in 1991. 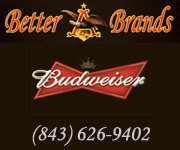 The renowned teachers also have schools in Atlanta; Greenville, S.C.; Ellicottville, N.Y.; and Mexico. The golf course at Pawleys Plantation is an award-winning Jack Nicklaus Signature design with breathtaking views along the marshland on the final nine holes. 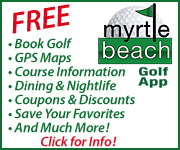 It is one of the top courses offered by the National Golf Management group, which owns and/or operates 23 public courses in the coastal South Carolina region. 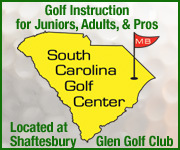 For more information about the Ritson-Sole Golf School, call (843) 237-4993 or (800) 624-4653, or visit www.ritson-sole.com .